The bag shown sold for $165.00. 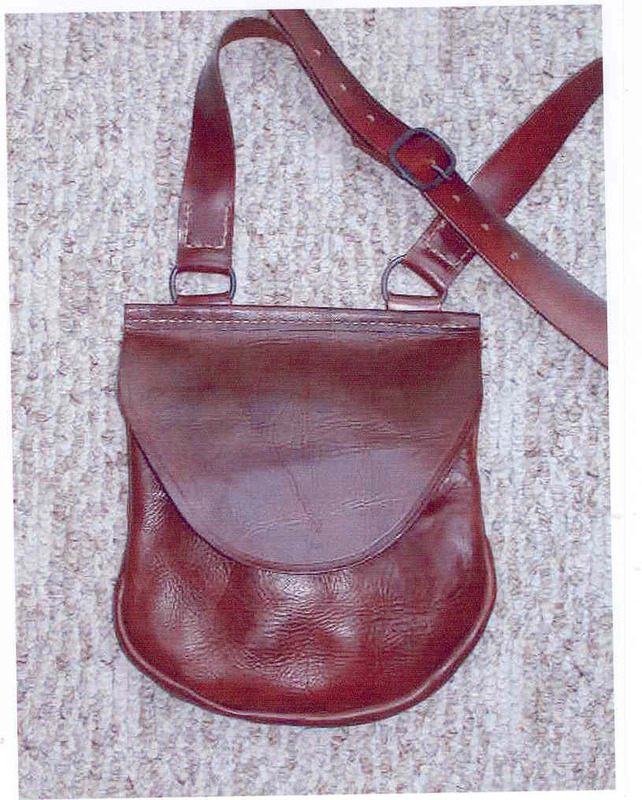 This is not the "saddle bag" style 2 pocket pouch but rather two large separate compartments in one bag with a 2 3/4" gusset. Additionally it has one large and one small canoe pocket, one in each of the main areas. The throats of each compartment have been rolled over and bound for easy entry. The adjustable shoulder strap is mounted on iron suspension rings and closes with a hand forged iron buckle. Made of oak tanned cowhide, it's oiled and dyed. Sewn with waxed natural linen thread.